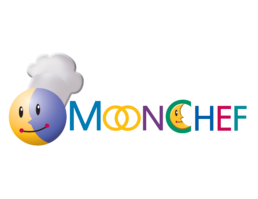 Moonchef – Preparing nutritious and delicious meals for the needy. Recent studies by the US Census Bureau outlined baby boomers to be the fastest growing segment of our population. Their global population is projected to increase by 54% from 6 billion to 9.3 billion from 2000 to 2050. However, the majority of new products are marketed mainly toward a younger demographic that ranges from 25 to 49 years old, leaving baby boomers (the elderly) neglected in a number of ways. In 2015, MoonChef was founded in partnership with non-profits to cater the growing demand for healthy meals by seniors. Contrary to economies where demand and quality mean higher prices, we believe wholeheartedly that seniors should not have to pay high prices for good quality food. Grateful for their contributions that shaped our community, it is our duty to express appreciate through our mission. Cooking from the heart is our mission. We strive to prepare healthy, delicious and affordable meals for the senior community, especially those in need. We are passionate about bringing warmth and love to their lives through our hot meals. MoonChef, a wholly owned subsidiary of Moonstar Buffet Restaurant, is a modern kitchen located in the heart of San Francisco. Under the management of Daisy Li and Chef Ng, MoonChef prepares over 1,200 daily hot meals for various meal sites that take part in Nutrition Program for Seniors in the Bay Area. Since the start of our operation, MoonChef received a number of proclamations from various organizations and parties recognizing our excellence.